•For use on heavy weight doors receiving high frequency use. •Must be used with one pair of full mortise heavy weight hinges. 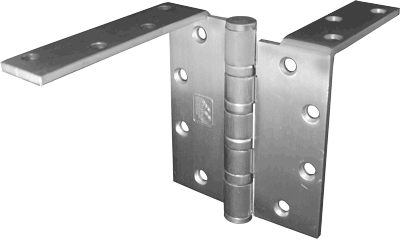 •Designed for openings where abuse places unusual strain on door jamb hinges. .5.00" x 1.25" / 4.00" x 1.25"